There was a time when my hubby & I didn’t think twice about ordering take out. 15 Years and 3 Kids later we are a family that deals with food allergies and being on a budget it just isn’t worth it to us to eat out. So when we are feeling hungry for Chinese food, we make our own. 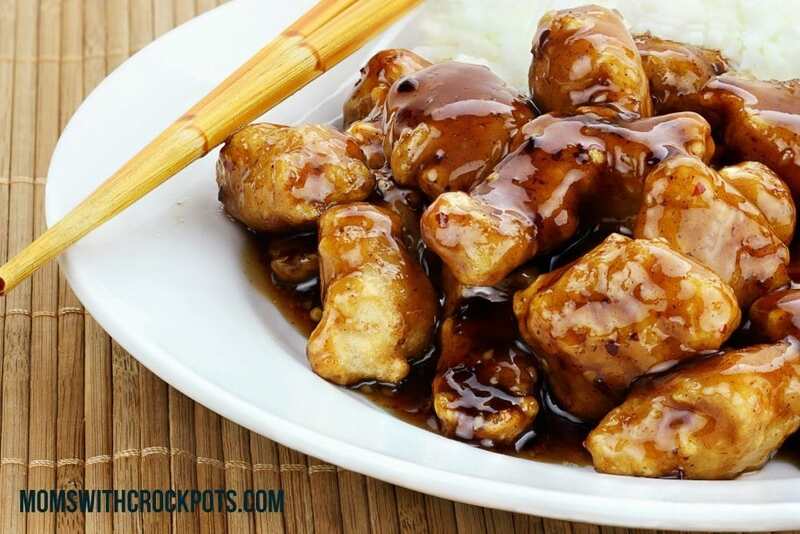 Now I have a killer recipe for Crockpot General Tso’s Chicken that will taste so much better than any that you order. Whip up this great recipe and serve it with some white rice & steamed broccoli for a quick and easy dinner. You can even buy a box of fortune cookies at the grocery store to top it all of. This recipe makes plenty for the entire family at a fraction of the cost of takeout. 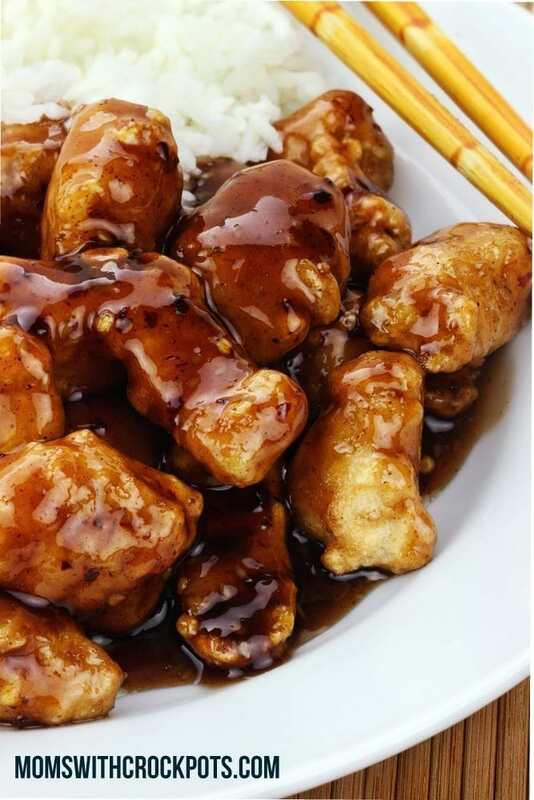 Plus, you can make this gluten-free when you use gluten-free soy sauce. Combine ¾ cups cornstarch, the salt, and the pepper in a shallow dish. Dip the chicken pieces in the cornstarch mixture to coat, shake off excess, and set aside. Heat the oil in a skillet over medium-high heat. Brown the chicken pieces. It should take less than 2 minutes per side. Remove the chicken and set aside. In a 5qt+ slow cooker, combine the sugar, soy sauce, pineapple juice, vinegar, garlic, ginger, and cayenne. Stir to mix well. I’m not a young busy mom any more. Now I’m a older senior citizen and Nonna with terrible arthritis and use my crock pot 5 out of 7 days a week. Your recipes are wonderful and gives my husband and me a variety. Thank you very much. I check my email every day for you recipes.